In the week of Anglo-French scallop wars beginning again with lapsed agreements and nothing to replace them; the next in AC Services series of food under threat. Our focus is on cod and the need for co-operation for mutual benefit by protecting fish stocks. Since 2006, the cod levels in the North Sea have been causing alarm to a variety of organisations. These range from the fishermen catching their livelihood, to the sustainable brigade worried about responsible farming levels. And then there’s the government concerned about revenue. However, since last year, North Sea cod is now sustainable and can be eaten with a “clear conscience”, according to The Marine Stewardship Council (MSC) which has given this great British fish its “blue tick” label. This shows that North Sea cod caught by English and Scottish fishermen is not only sustainable but fully traceable. Here’s a little bit of fishy history. By 2006, anxiety began to grow about the stock levels in the North Sea which were at historically low levels. Levels had actually fallen to a mere 44,000 tonnes. This was a dramatic fall from the 200-300,000 tonnes witnessed in the 1960s and early 1970s. Obviously these figures cannot be exact. No one is entirely sure how many fish there are but the estimates are as scientifically accurate as possible. This news called for a collaboration between the fishing industry, government and scientific research enterprises. They pulled together to recover the stocks to a level which saw North Sea cod reach the gold standard of full MSC certification. The causes of this fall in levels were multiple. Pressure from European fisheries resulted in high takes of haddock, cod, whiting and saithe caught in the North Sea causing over-exploitation beyond a sustainable level until the 2000s. As a result, cod in particular was at risk of falling outside safe biological limits. Subsequently, the European Union and Norway initiated the ‘Cod Recovery Plan’. 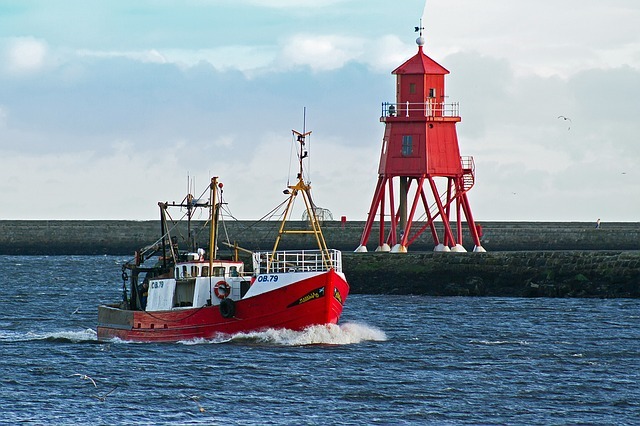 This plan included measures to control and reduce the fishing effort, as well as introducing restrictions on catches of cod and other stocks. Other measures included new nets and closing spawning areas to fishing, modified fishing gear, catch controls, well-managed fishing practices. The fishing industry worked closely with the Scottish government and the EU Fisheries Council on the recovery plan. Want Plenty of More Fish in the Sea? The stocks have to be independently assessed before they can be given the MSC blue tick. If you can see the mark, the cod is guaranteed to come from a sustainable source and by choosing fish with that label, buyers and customer are helping to protect future stocks. There are some who believe that overfishing and endangered stocks is a myth: people in Newfoundland, Canada believed it too until 1992 when the cod fishing industry came to a sudden stop with no cod appearing at the start of the fishing season. Overfishing caused by fisheries mismanagement was the main cause for this disaster. We have made the decision to leave the EU and to withdraw from the London Fisheries Convention. 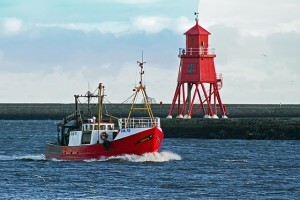 These currently allow foreign vessels to fish within six and 12 nautical miles of UK coastline. No one knows what this means in terms of North Sea fishing management. But by everyone pulling together, crises can be identified and averted. So next time you buy fish including cod, look for the blue tick so we can all win.